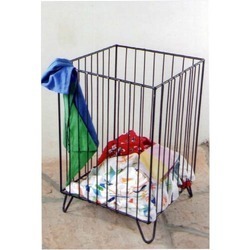 Pioneers in the industry, we offer metal towel hook stand, umbrella rack stand, wrought iron basket, utensils stand rack, clothes drying stand rack and utility stand from India. With firm commitment to quality, our organization is manufacturing, wholesaling, retailing and supplying a wide range of Metal Towel Stand Rack. Use for handing towels on it, this towel stand rack is made available in superb designs and our customers can also avail these from us in customized options. The offered towel stand rack is highly demanded and applauded in the market, attributable to their salient features. This towel stand rack is manufactured by our experts by using finest quality material. 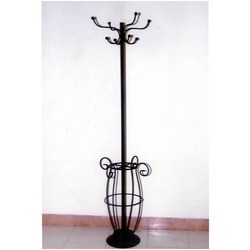 Banking on our skilled professionals, we are engaged in manufacturing, wholesaling, retailing and supplying Umbrella Rack Stand. Specially designed for keeping umbrella & rain coat, these rack stands is made as per the international standards & advance technology by using high quality material. The offered rack stand is made available in various stipulations to meet the diverse needs of our customers. Furthermore, this rack stand can also be customized in various options. 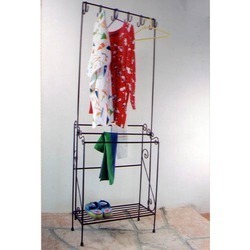 Our clients can avail from us, a pristine array of Clothes Drying Stand Rack. The offered basket stand rack is designed by our experts by utilizing optimum quality material in accordance with the market standards. 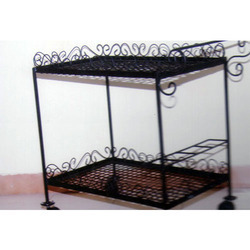 This basket stand rack is made available in various designs & widely demanded for its quality & durability. 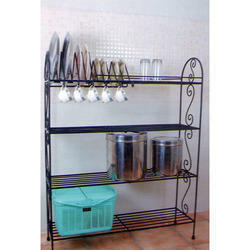 Our customers can avail this basket stand rack from us at nominal rates. 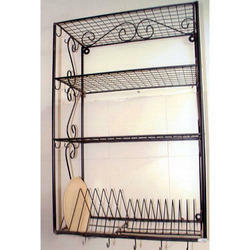 Wrought Iron Backer Rack Can be used for making Vertical Gardens. Looking for Utility Stands ?